You can pay $31 per month for this painting. Find out how! 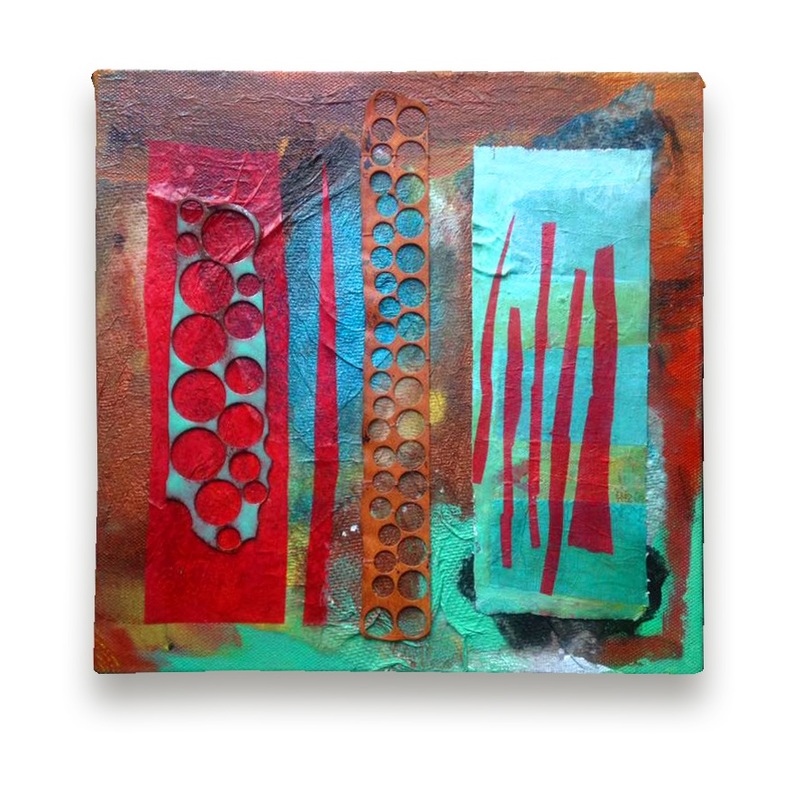 Acrylic, paper, cut canvas, enameled and fired copper, thread. Emergence is an interplay of order and disorder, heat and cool, body and non-body. In the history of the earth, the heat of magma, fire and kinetic collision give way to green islands, slick jungles and deep oceans swaying with kelp. Emergence is a natural-history abstract incorporating metals, deep colors and varied textures. This artwork measures 10" x 10" on 1.5" deep gallery-wrapped canvas. The sides of the artwork are painted and the piece is signed on the right side. The piece is ready to hang.